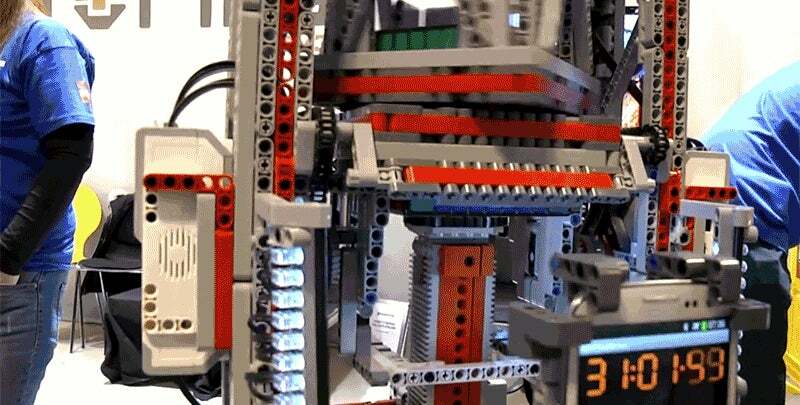 If you feel inadequate about your inability to solve even a standard-sized 3x3x3 Rubik's Cube, then don't watch this video of the MultiCuber 999: a towering Lego Mindstorms contraption that can solve giant 9x9x9 Rubik's Cubes. Relying on a Samsung smartphone as its eyes and a custom Android app for its brain, the MultiCuber 999 actually holds the Guinness World Record for largest Rubik's Cube ever solved by a robot. It's not quite as speedy as robots designed to solve smaller 3x3x3 cubes, but let's see you unscramble the 729 squares and rectangles on a 9x9x9 cube in just 33 minutes.